Update: Finding Astro just became a whole lot harder as the module no longer appears to be available. 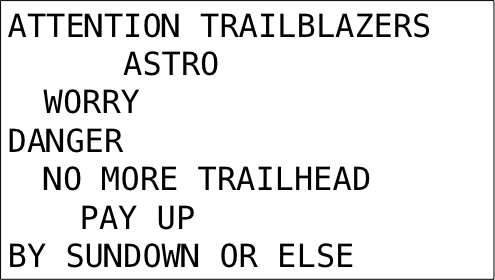 In what has become become the hallmark of Trailhead emerges a rather cockamamy module to locate the lost Astro mascot. 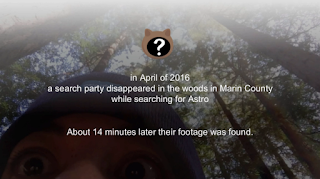 It may seem like an excuse for the creators to make odd videos and run around in the woods blair witch style, and maybe it was considering it went live on the 1st of April, but you might actually learn something along the way (and maybe win a prize). Don't worry if you never finished reading the Cryptonomicon. Or if you don't know the difference between a one-time pad and using the Apex Crypto class with AES256. Instead, download the zip from the first part of the module that includes an Excel file you can use to complete the challenge. Alternatively, I've created an equivalent Google Sheet for decoding the clues. How long it takes to get Cloudy the Goat groomed for a World Tour event. Who sleeps on a pillow stuffed with Astro's hair. "uploading data you get from a random dog you meet in the woods is NOT a Salesforce best practice"
So, hit the trail. Decrypt the note. And bring Astro home!